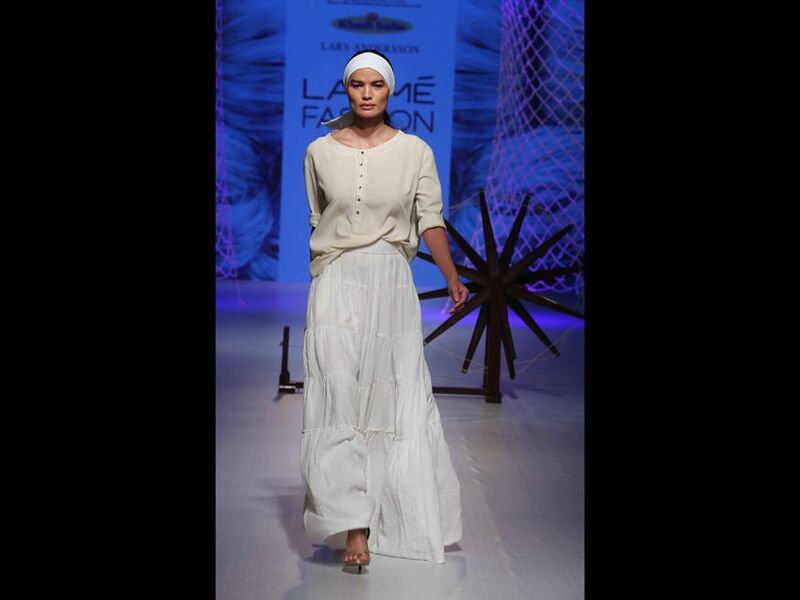 The label ‘Three’ by Pallavi Dhyani believes in the concept of immortal designs with a timeless quality. 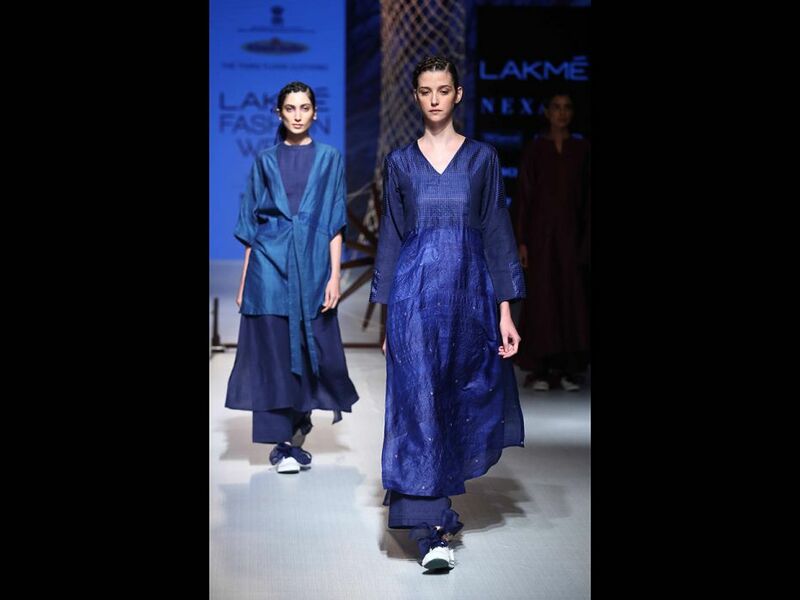 The collection visualised with the weavers of Barabanki, Uttar Pradesh, was a relaxed line of comfort wear called “Mute”. 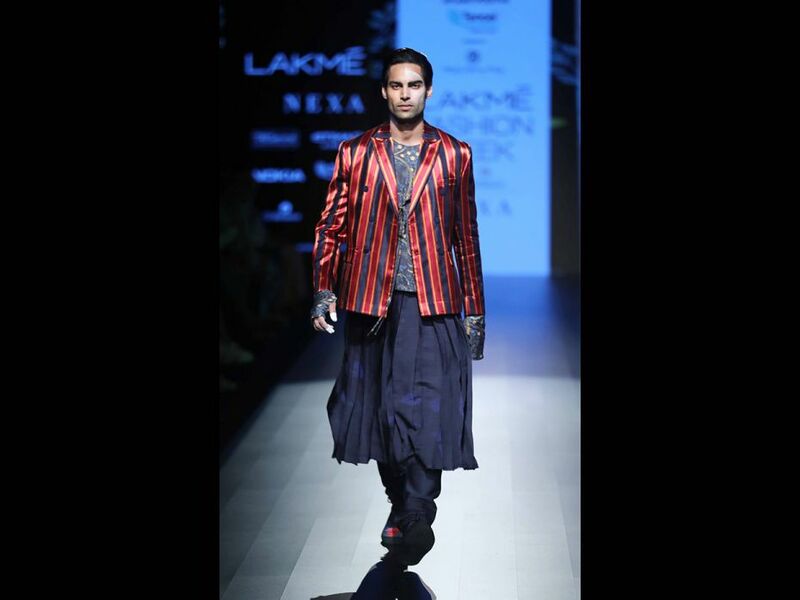 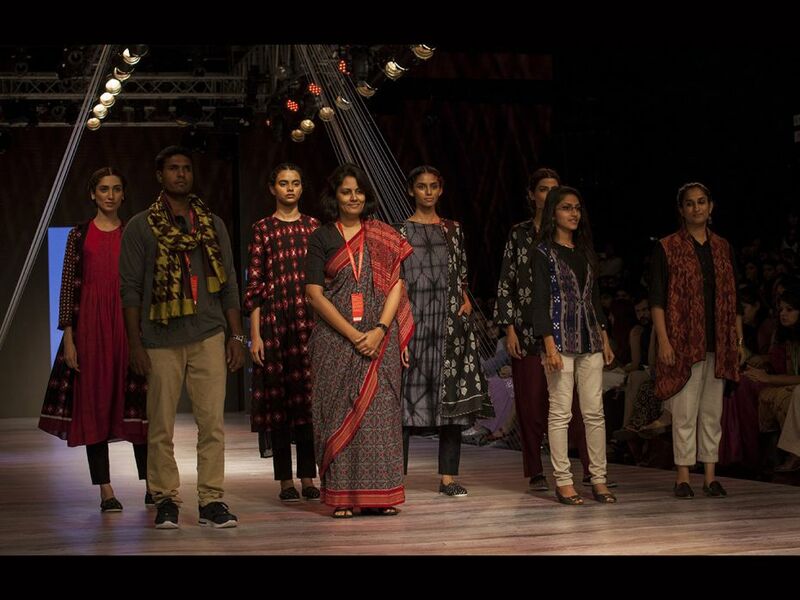 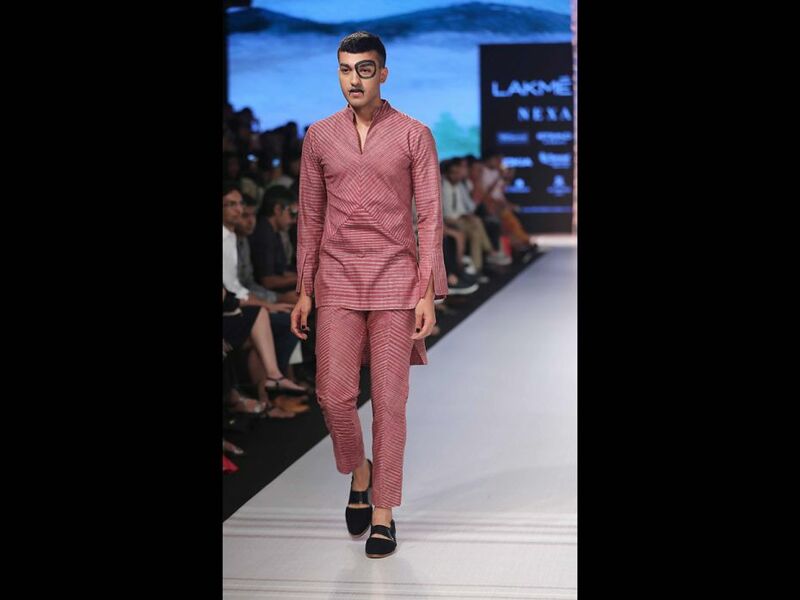 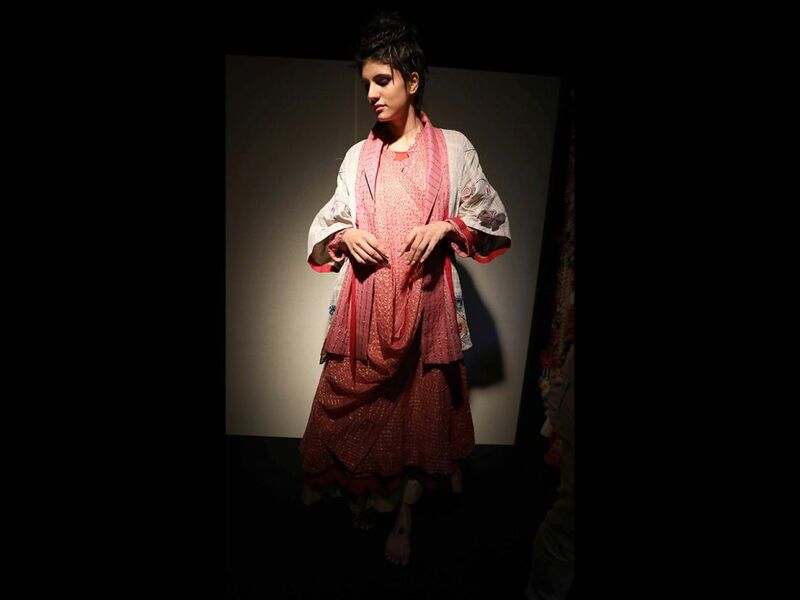 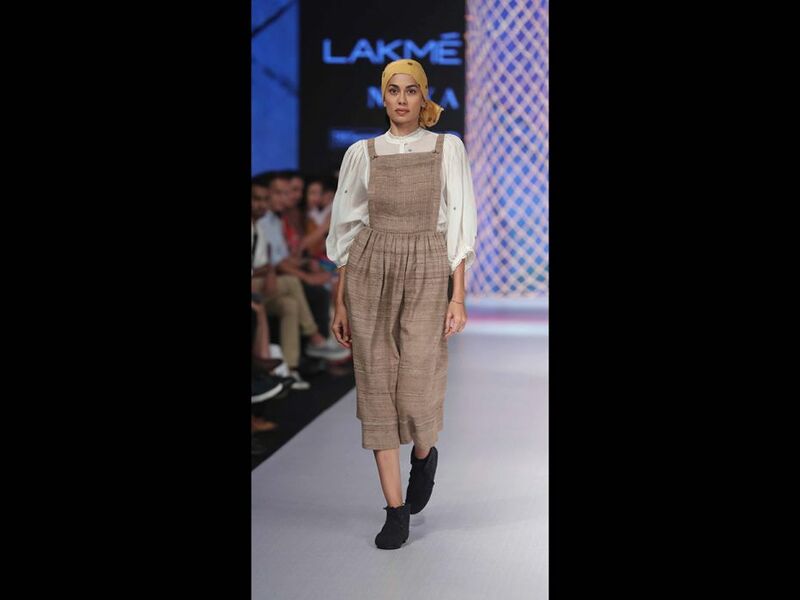 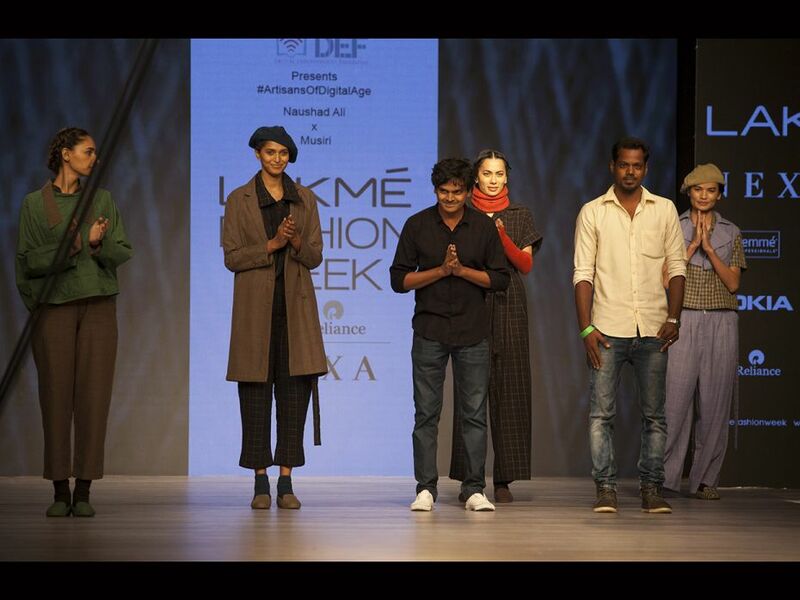 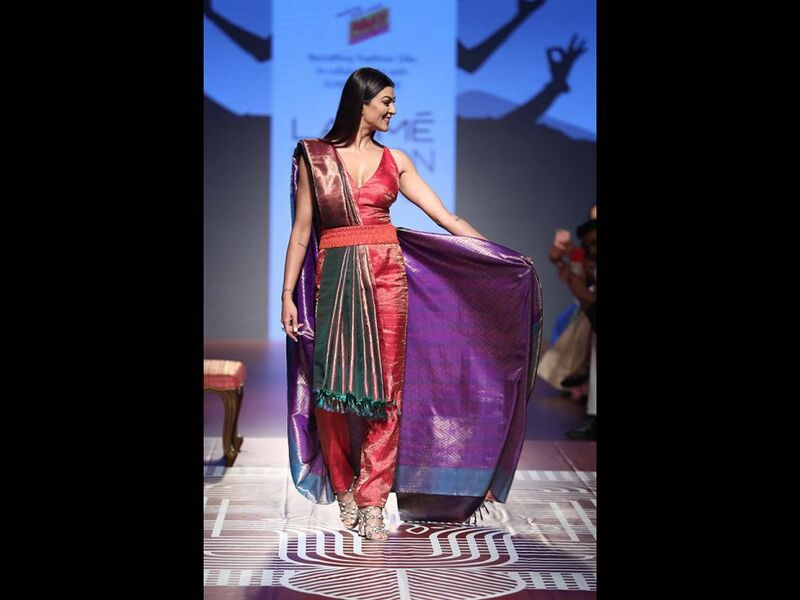 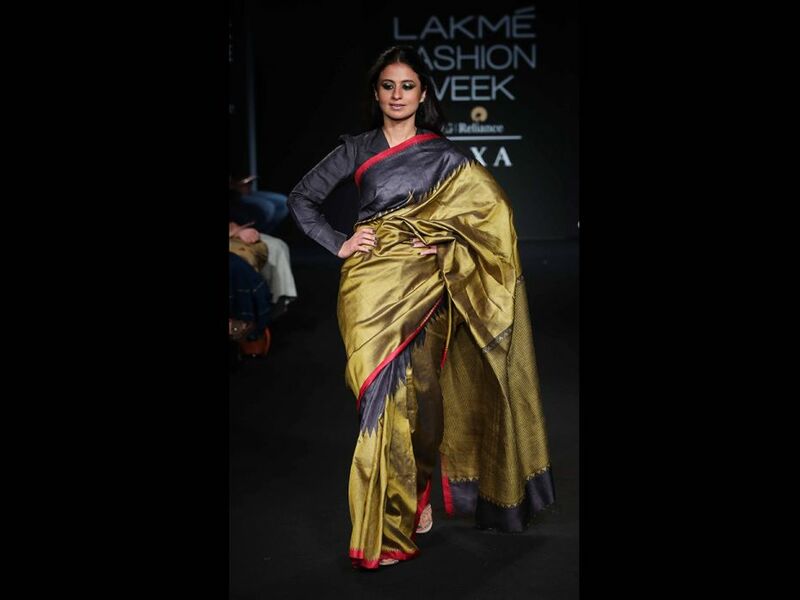 Using 100 percent handloom cottom, Dhyani gave the weaves an appealing contemporary touch. 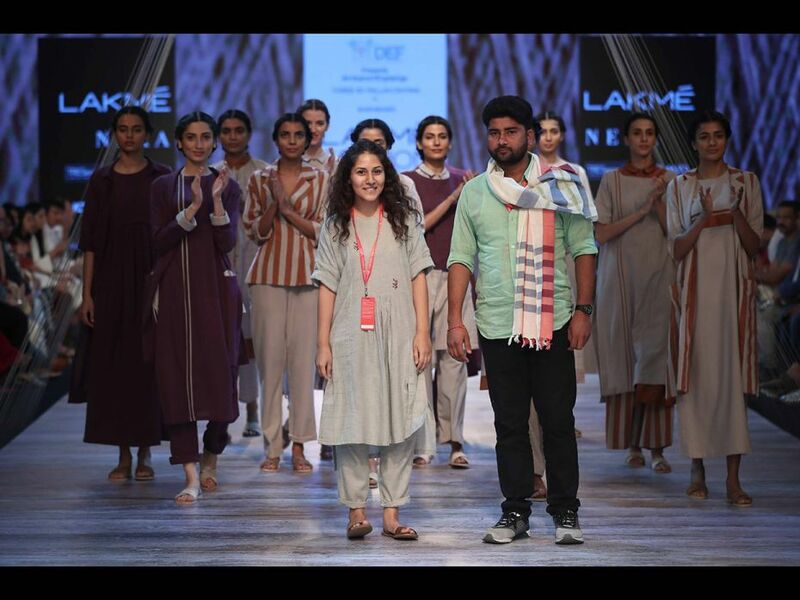 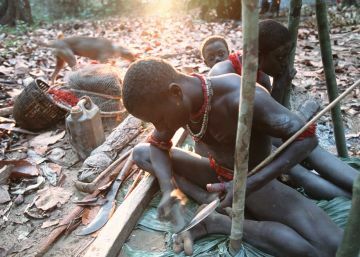 The very rustic, earthy, hand woven textiles appeared in shades of grey, deep purple and burnt orange.